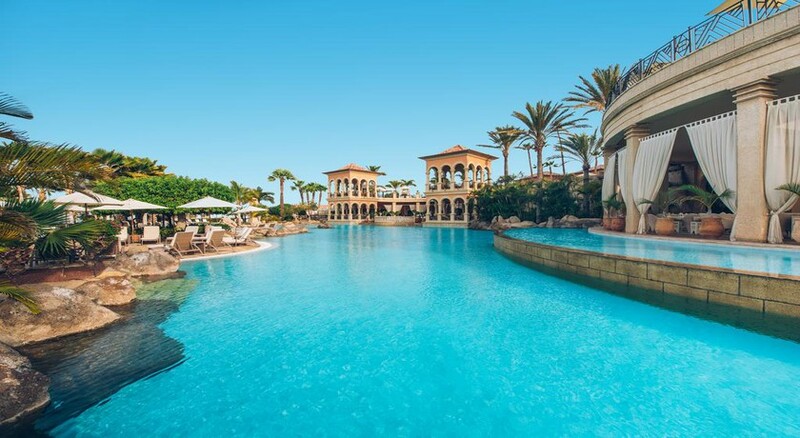 Elegance and luxury defines the Iberostar Grand Hotel El Mirador, a five-star establishment. 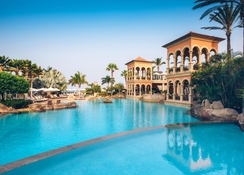 An adults only hotel located on the Costa Adeje, next to Duque beach, on the fantastic island of Tenerife, it offers luxury facilities like the large pool area where you can find solarium area with sunbeds, Balinese beds and a large area of ​​gardens. There is a magnificent spa on-site where guests can enjoy the hot tubs, jet pool, or request beauty or therapeutic treatments. 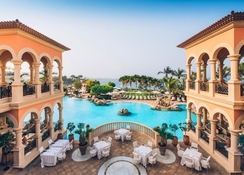 Iberostar Grand Hotel El Mirador boasts of a multifunctional room with a maximum capacity for 220 people and the large garden area (with ocean views), for holding meetings. The hotel facilities are complete with a gym that offers ocean views, a glass-enclosed squash court and a spacious and elegant lobby. 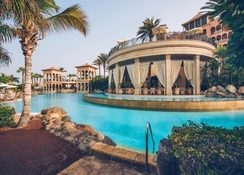 The Iberostar Grand Hotel El Mirador is located in front of the Duque beach, in Costa Adeje, on the island of Tenerife. In its vicinity there is an abundance of shops and eateries for tourists as well as several golf courses and beautiful beaches. It also offers the possibility of taking part in windsurfing, sailing or mountain biking nearby and you can also pay a visit to the Teide National Park. The Tenerife South Airport is at a distance of 22km from the hotel. Iberostar Grand Hotel El Mirador offers 120 spacious rooms, characterized by elegant decoration and classic style where warm colours take centre stage. Make the most of a spacious living area with sofas and a spectacular furnished terrace overlooking the ocean. Rooms are categorized into junior suites (with sea view or superior) and suites and are equipped with amenities like air conditioning, flat screen TV and satellite, minibar, telephone and an elegant and complete bathroom that includes a bathtub, hairdryer and complimentary toiletries. 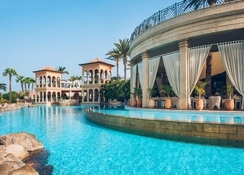 Iberostar Grand Hotel El Mirador facilities include a spa with Jacuzzis, jet pool, thermal circuit, relaxation area and beauty and therapeutic treatments, a large pool area with a solarium area with sun loungers, Balinese beds, and a large garden area. The nearest golf course is a mere 3.7km away from the hotel and there plenty of water sports at the local beach which is only a few hundred metres from the hotel.